Twitter has announced a new update for their Blackberry application which now jumps it to version 1.1. Bringing with it a number of new enhancements and added features which have been under test by the Blackberry Beta Zone for the last couple of months. The new updates now include added push notifications to the app which allows users to adding a location to their Tweets and Push @Mentions. 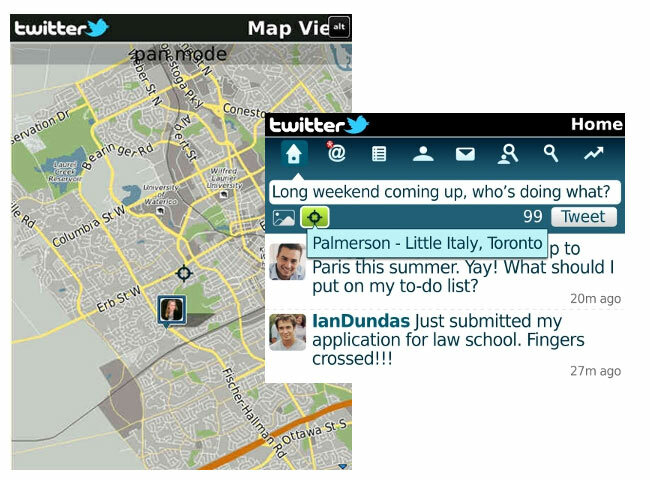 Together with Tweet locations allowing users to Tweet there location if desired. Another new feature is “retweet update” which publishes your retweets in your Home timeline, as ‘Retweeted by You’ to notify you your retweet has been sent successfully. The update also bring with a few user interface changes with new graphics and a streamlined layout. The Blackberry Twitter v1.1 app is now available for download in BlackBerry App World.